Frisch, D. 2008. The European Union’s development policy: A personal view of 50 years of international cooperation. (Policy Management Report 15). Maastricht: ECDPM. 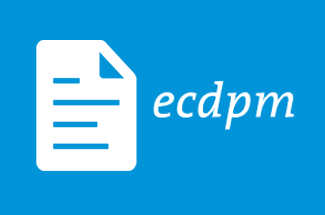 ECDPM is delighted to be able to mark 50 years of European cooperation by publishing the account of an observer and a protagonist of the many events described in this paper. Starting his career in the Commission in 1958, it was in 1964 that Dieter Frisch entered DG Development where he would spend two thirds of his 36 years of service, interrupted only by six years as Director of DG Budget (1977- 1982). From 1982 to his retirement in 1993, he occupied the post of Director-General for Development where he led the negotiations for Lomé III and IV. He is therefore very well placed to guide us through the twists and turns of early ACP-EU relations from Yaoundé to Lomé and up to the Treaty of Maastricht where European cooperation was placed on a formal footing. Even though retired, Dieter Frisch continues to maintain a keen interest in European affairs, in particular development cooperation. As an adviser and expert in European cooperation, he is regularly consulted by various official and non-governmental bodies. He has therefore been able to keep abreast of more recent developments, from Cotonou to the “European Consensus” and the Joint ACP-EU Strategy. This paper, essentially historic in nature, is unlike ECDPM’s usual publications which generally examine technical or political issues and look resolutely to the future. Its aim is to examine how development cooperation came about in the Community and then the Union in order to shed light on the past and ensure that the origins of this staunchly international side of our Union are not lost from sight. To some extent, this paper is also educational in nature since it helps us better to understand the events and ideas that have led to many of our present practices and structures. It also has a political dimension, as the author does not hide his European beliefs and tells us in detail about the various stages along the road towards more integrated and coordinated European cooperation, while giving his view of the added value of this kind of integration. It also reflects his respect for the ACP Group partners to which he devoted a good part of his career. While this is therefore a very personal account, it is also the account of someone recognised for his experience and command of the issue.